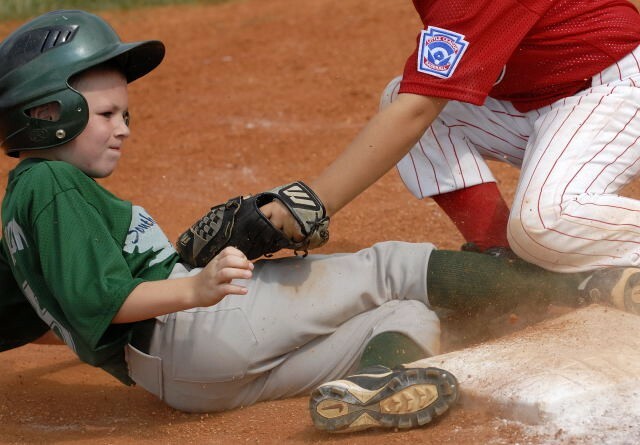 Local Teams: (Local teams participate in tournaments sponsored by Kentucky Little League District 2. They play in pool play, and then compete for a District 2 Championship. They do not advance to state or national tournament action.) Local teams begin play on Saturday, June 24th. Pool: SOLL, North Oldham, St. Matthews National League, Nelson County "B"
Pool: SOLL, Nelson County "B", St. Matthews American, Valley Sports "A"
"National" Teams: (National teams participate in tournaments that can eventually lead to the national Little League World Series. They begin action in pool play, and then compete for a District 2 Championship. They can then advance to state or national tournament action.) National teams begin play on July 1st, except for the 13-14 year olds, who start on July 10th. Play is round robin with winner and runner up of pool play meeting in best 2 of 3 series for right to advance. Pictures: Courtesy of Dewayne Bishop, Jr.